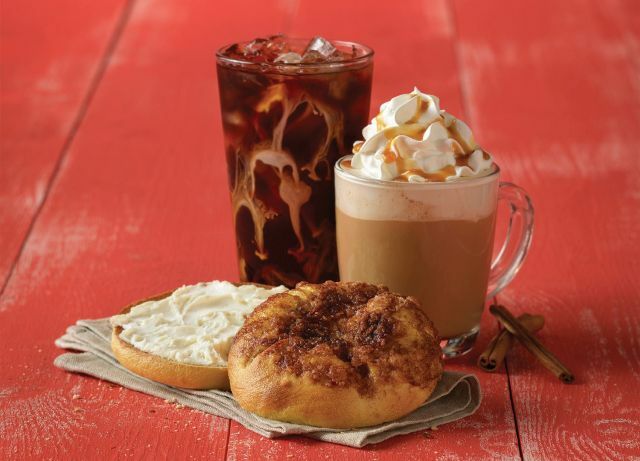 Einstein Bros.' seasonal holiday menu for 2017 features the new Snickerdoodle Gourmet Bagel as well as a number of other menu items. - New Snickerdoodle Gourmet Bagel - An egg bagel with a buttery, crunchy cinnamon topping. 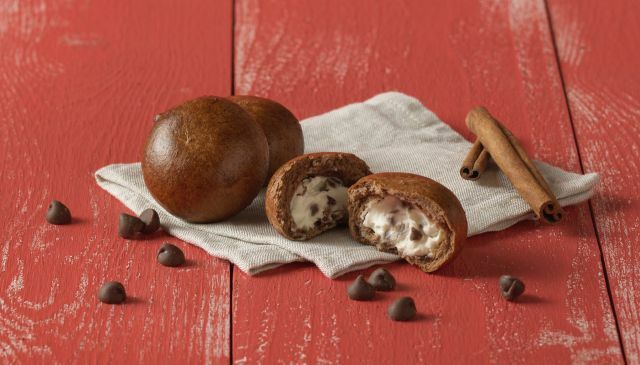 - New Chocolate Chip Cheesecake Shmearful - A mini chocolate truffle bagel shell with chocolate chip cheesecake shmear on the inside. - New The Rancher sandwich - Pork sausage, ham, cage-free eggs, Swiss cheese, caramelized onion & bacon shmear on an egg bagel. - New Croque Melvyn sandwich - Thick-cut bacon, ham, cage-free eggs, Swiss cheese, raspberry jam, and mustard shmear on an egg bagel.